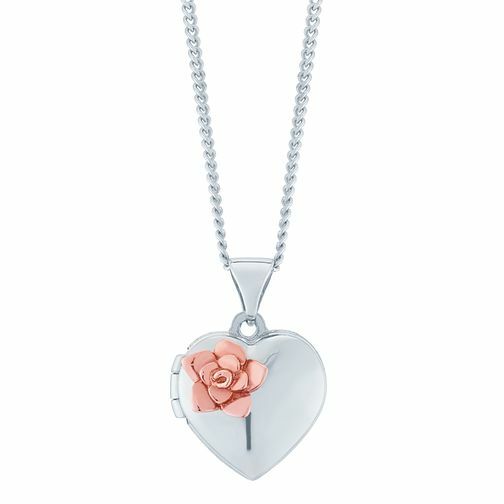 An elegant silver heart locket adorned with a pretty 9ct rose gold rose design, with a romantic messaging at the back. 9ct Rose Gold & Silver Rose Flower Locket is rated 4.5 out of 5 by 2. Rated 4 out of 5 by Anonymous from Good but a bit hard to open Lovely piece but opening the locket is a bit difficult - but looks great anyway!